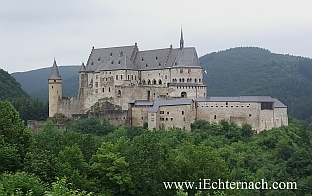 What to do in Echternach? 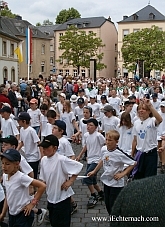 Enjoy Luxembourgs national holiday. During the night from the 22. to the 23., in the whole country - but especially in the capital - there are parties, parades, concerts and fireworks to honor the birthday of the Grand-Duc. 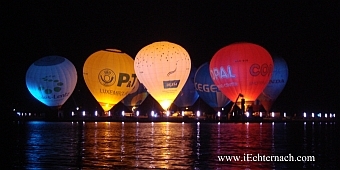 Enjoy the colors of the nightglow during the World Balloon Trophy during the night at the Echternach lake. It is a part of the official World Championships for Hot Air Balloons. 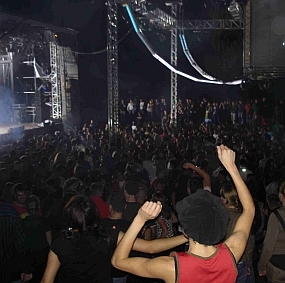 Utopolis: You prefer a large cinema in Luxembourg town?